There's been plenty of talk over the fact that you can't upgrade from Windows Vista to Windows 7 in Europe, but we can now reveal that there will also be no upgrade path from Windows 7 RC either because of the EC. Microsoft confirmed to TechRadar last week that its decision to release an 'E' version of Windows 7 which would not allow you to upgrade your system from Windows Vista, but would require a clean install, was down to the integration of Internet Explorer in the operating system. 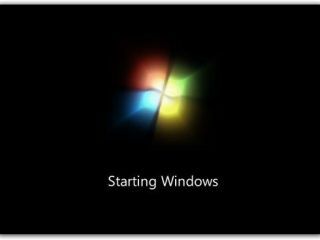 Now, Microsoft has confirmed that there will be no upgrade from Windows 7 RC either – closing a potential loophole for people who were considering using the relese candidate as an upgrade stepping stone. "There definitely is no upgrade path from Windows 7 RC to the full version," confirmed Microsoft's Leila Martine to TechRadar. "Moving to the full version in Europe will require a clean install." This is very different news to those in the rest of the world who are trialling the RC version – who, it was confirmed this week WILL be allowed to upgrade. Microsoft's decision to release the European Windows 7 version without IE8 bundled is likely to prove unpopular, but the company took that action as a direct response to the investigation launched by the European Commission into the potentially anti-competitive behaviour of including a default browser. Microsoft has also reiterated that the lack of an upgrade option means it will be offering full versions of Windows 7 for the price of the upgrade package available to the rest of the world. "What we are saying is 'we don't care as a consumer if you had Windows Vista or not because we can't tell that and we don't want to penalise you for our decision to take IE8 out of the Wndows 7 E version and to not give an upgrade option," added Martine - who is the UK Windows Marketing Lead. This means that Microsoft is insisting that, certainly at least until 31 December 2009 and probably (but not certainly) beyond, a full version of Windows 7 Home Premium will be available for the upgrade price of £79.99, full Windows 7 Professional will be available for the upgrade price of £189.99 and Windows 7 Ultimate will be available for £199.99.